Ortofon offers a wide variety of DJ Cartridges under the Concorde label. It is difficult to make a choice when you are new to DJ-ing. 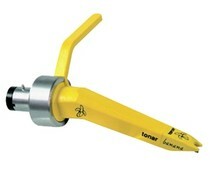 Don't save to much on your cartridges and needles, they are very essential for your final sound. Hereunder you find the most common use for every DJ model Ortofon offers. General purpose model for scratch and back-cueing. Ideal choice for talented, but less experienced DJs! Vinyl-to-digital transcription cartridge. Very good sound quality! Techno cartridge co-designed by DJs. Very high output. A must-have for all scratch and back-cueing DJS! Co-designed by various DJs. Especially developed for scratch and back-cueing. Very high output! Co-designed by DJ Q.Bert for scratch and back-cueing. High tracking ability. Ultra high output! The world's first needle designed specifically for coded vinyl with low wear! The ultimate club cartridge. Superb sound quality! Recommended for frequent use in discotheques and clubs! A revolutionary new high performance cart for DJs! Exceptional tracking ability of 120 μm! The Concorde Gold is for DJs who will settle for nothing but the very best! The Ortofon Q.Bert features a more subdued high end, which helps to minimize surface noise from worn vinyl, and an accentuated mid-range to help bring scratching to the front of the sound stage. With solid bass reproduction and extended highs, the Ortofon Scratch is great for any style, providing energetic, in-your-face sound.